likely the time is spent in finding it. I'll rename the issue. registry - not in network operations. > likely the time is spent in finding it. I'll rename the issue. 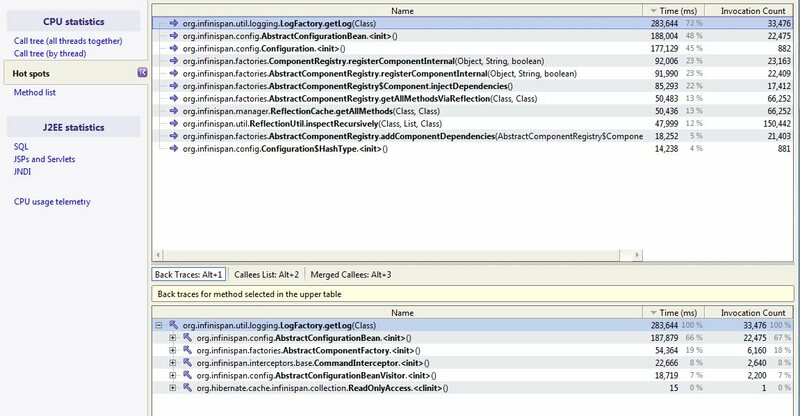 btw) then use a protected method which returns a static final logger. >> likely the time is spent in finding it. I'll rename the issue. > btw) then use a protected method which returns a static final logger. thanks for you comments David.